GOOOO DAD! Dads everywhere will love this hooded sweatshirt because it shows off their Leatherneck pride and the fact that they have a student who goes there! 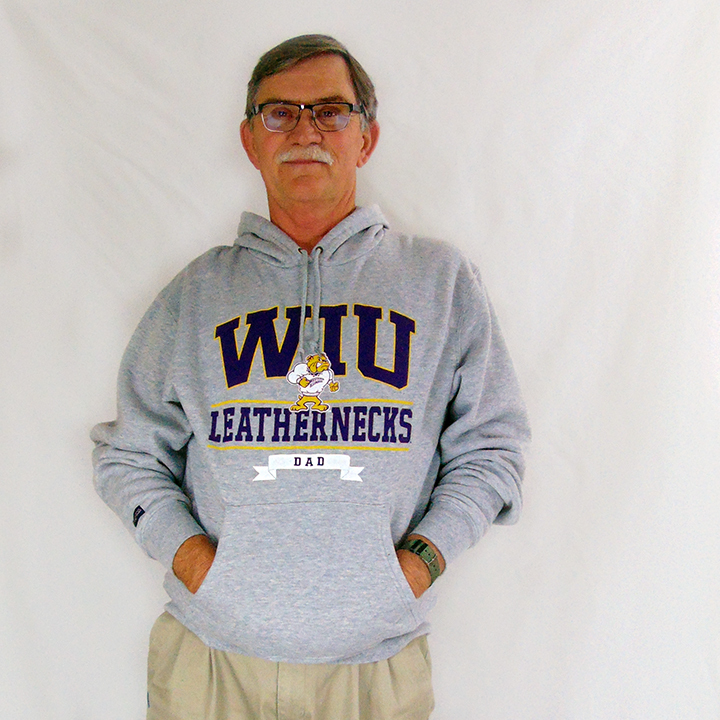 This crew neck is in light grey and features "WIU Leathernecks" in purple, standing Rocky, and "Dad" in a banner. 55% cotton, 45% polyester. Please select option for Jansport Standing Rocky Dad Hoodie.